You are here: Home / General Post / Denial of Service Attacks and DDoS Attacks: What they are and how to prevent them? A Denial of Service Attack is the deliberate flooding of a network from attackers that effectively cuts off legitimate users from the websites they host. It is a malicious attack, causing problems not only for the organizations being attacked, but for the customers and online visitors who are affected. We will help you understand what to do if this happens to you, and how to prevent them in the first place. What’s the difference between a DoS and a DDoS? A DoS is a Denial of Service attack, originating from a single machine that launches a barrage of network requests, overwhelming their target. These are more easily executed, and can use a variety of types of requests to paralyze the target organization. A DDoS is a Distributed Denial of Service attack, meaning the incoming flood of traffic originates from hundreds of thousands of sources. This is accomplished through botnets, a series of computers that have been hijacked via malware, which are then used to remotely launch a DDoS. What types of organizations/systems are targeted? Any organization is a target for DDoS or other network/application attacks. The most popular targets are often Enterprise Corporations, Internet Service Providers, K-12 schools, Higher Education, and Gaming Companies. How do you know if it’s happened to you? Unless you have tools to monitor, detect, and report on network attack activity you may not know that you have been or are being attacked. 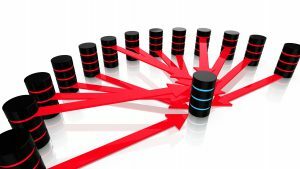 Many DDoS attacks can be “low and slow” so they are not detected. Some basic monitoring tools may be able to find high connections per second coming from a host inside or outside of your network but they will not tell you what kind of attack it is, nor the proper method for mitigating that specific or unique attack. How do you prevent Denial of Service Attacks? To prevent DDoS attacks you need a robust detection, reporting, mitigation platform. A checkbox on a firewall configuration menu for DDoS is not the proper way to protect yourself from DDoS attacks. Many firewalls can be overwhelmed by a DDoS attack so that the attacker can get through it and reach valuable data/information.The main components of a DDoS solution include on-premise detection, reporting, and mitigation with consideration of adding cloud mitigation service as well. Another option is to have on-premise detection/reporting with cloud DDoS mitigation. How do I choose a vendor to help protect me against DoS and DDoS attacks? Several vendors provide DDoS protection solutions. There may differences in their technology, how they deliver it, at what cost, and how maintenance/support is handled. DDoS attacks are on the rise. The largest DDoS attack in the world occurred on September 25, 2016. It was 1TB in size and targeted OVH hosting company. The attacker(s) used a botnet that they had created with over 600,000 “Internet of Things” devices that launched the attack simultaneously. IP Networks offers several solutions that protect against DDoS, through NSFocus, Fortinet, A10 Networks, and Arbor. After you have narrowed your search down to the two or three DDoS vendors that you prefer, it’s time to evaluate those solutions in your network. Naturally, after testing, you pick the DDoS vendor that serves your business, financial, and network protection needs best. Be proactive and protect yourself from these debilitating attacks. IP Networks can help you find the right solution that will offer you greater security and more peace of mind. Contact IP Networks to learn more about which solutions would be best to protect your organization.